Licensed since 2003, Gigi makes it her mission to earn your trust and help realize your real estate dreams through a commitment of prompt, professional and courteous service. Gigi spends time educating you throughout the home buying process. When you are ready to purchase you are 100% confident you have found the perfect home that suits your needs, can see yourself living in and is in your price point. 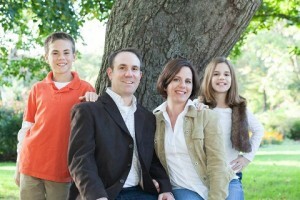 As a lifelong Baltimore resident, Gigi’s knowledge of the Baltimore metro area, is extensive. Gigi works hard at developing trusting relationships with her business partners as well; vetting them so you don’t have to do the work yourself. She encourages you to check the website for resources such as plumbers, electricians, financial planners and more. Because she works by referral, while other agents are prospecting for new business and have moved on from your transaction, Gigi spends her time planning events to better serve you, her client. Events can be informative, like an estate planning or financial planning seminar. Others are merely for fun and appreciation, just to say thank you for being a client, like her annual Thanksgiving Pie Party. Helping multiple generations of the same family and becoming their trusted resource is the greatest testament to Gigi’s abilities and makes her a valued member of our community. On a more personal note, Gigi is a native of Baltimore and a graduate of Rutgers, The State University. She has enjoyed a diverse work history, which includes co-manager of Baltimore Racquet and Fitness, salesperson for Mid-Atlantic Fitness Network, RFP Administrator for Penn Parking, Inc., and Arts Administrator for Moving America, Maryland. Paramount to her success has been her ability to draw upon her skills in diplomacy, organization, sales and service, gained through each of these work experiences, to provide her clients a well-rounded agent dedicated to their needs. Gigi is an active member of the Board of Directors for Dundalk Community Theater at CCBC and has served as the President of the Parkville Middle School and Center for Technology PTSA. She is the wife of W. Dave Causey, Jr. and the mother of Gabriel and Isabel.